Present at birth, clubfoot is one of the most common congenital deformities which occur in otherwise normal infants. It is characterized by an internal rotation of the ankles. 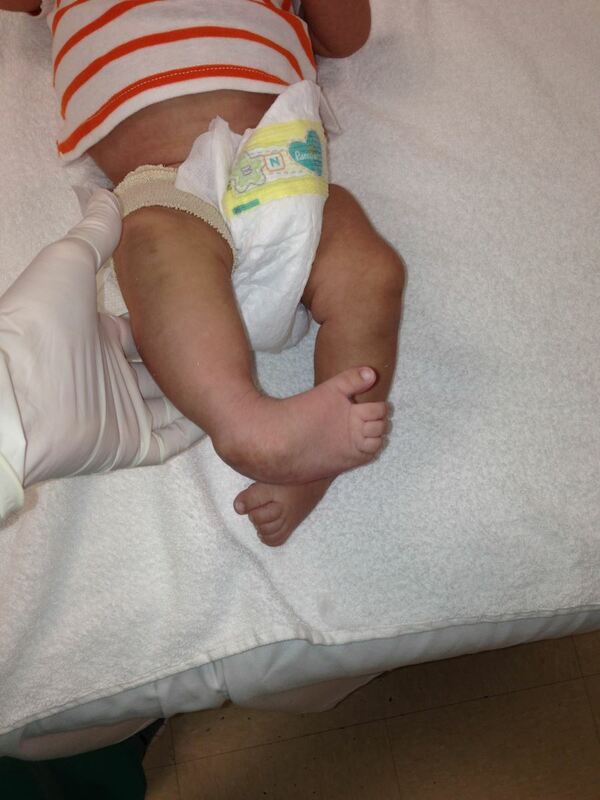 Clubfoot is also known as congenital talipes equinovarus. The prevalence of clubfoot varies around the world and roughly 100,000 infants are born with the condition annually. Nearly half of all cases (40%) occur bilaterally (affecting both feet). There appears to be a genetic component to clubfoot, as a 1965 study by Ruth Wynne-Davies reported that in families with one child born with clubfoot, the chance of a second child being born with the deformity is 1 in 35. Treatment for clubfoot is recommended at a very young age, often within a week or two of birth. At this age, progressive casting, known as the Ponseti Method, often results in complete correction with low rates of recurrence. A large number of cases, however, particularly those in developing countries, go untreated or are poorly treated. Individuals with untreated or poorly-treated clubfoot often suffer severely limited mobility and pain, resulting in staggering social, psychological, and financial consequences for not only the patient, but their family as well. For more information, see Recurrent & Untreated Clubfoot.